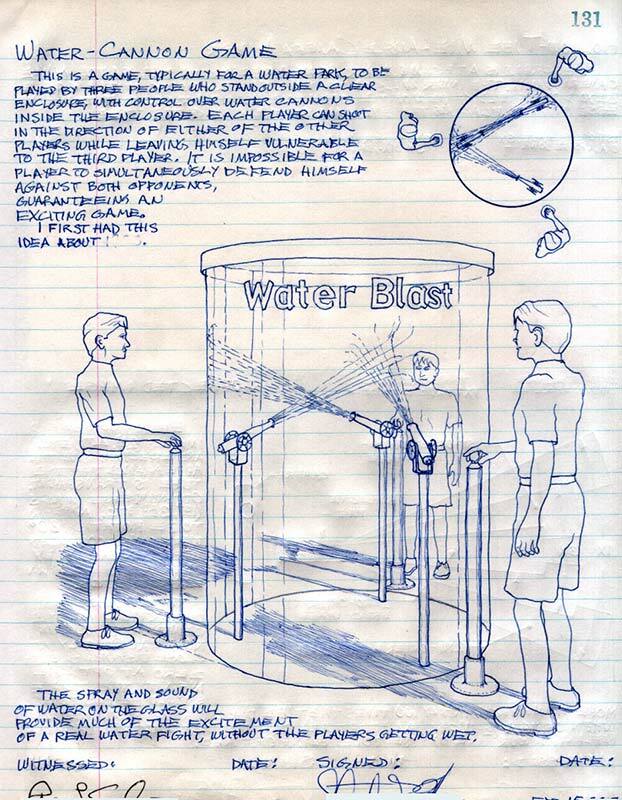 Water-Blast™ is a water-cannon theme-park game that allows visitors to blast an opponent with a fire-hose like stream of water. When a player is blasting one opponent, they are vulnerable to the remaining player. The controls for the water pressure and aim are outside the cylinder in the dry. The sound of the water on the glass adds to the excitement. There’s no way for a player to defend themselves, but also no way to win, but it’s great fun trying.